One of the things that I’ve been enjoying about our business recently, is not just the great partners in the retail apps space that we’ve been working with, but more importantly the solutions that can be created. It occurred to me that the sophistication of these integrated solutions, now available to SME retail, is what large retail conglomerates have been trying to create for years, with the help of the large systems integrators. However, they’ve probably paid tens-of-thousands of dollars over the last decade, without necessarily having achieved a result for solutions that are now available through the cloud for SME’s. Choose an incredibly powerful, but affordable point-of-sale, like Vend for your retail store, or Kounta for your hospitality venue. 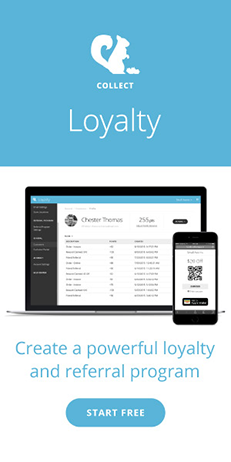 Add Collect to allow you to track customer purchasing behaviour and market back to them, real-time and with relevance, to increase loyalty and additional purchases and to grow your database through incentivised referrals. Integrate with MailChimp and Campaign Monitor to drive this marketing through email as well. 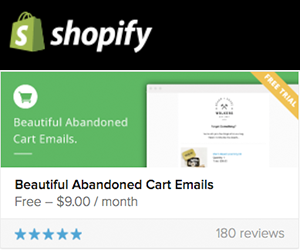 Build an online store with Shopify and create a global business overnight. Integrate with Collect to manage the customer relationship, both online and offline, seamlessly. Add Swarm to the mix and capture customer traffic and journey. Integrated with Collect to market to customers, based on proximity, and potentially what they haven’t purchased! And, if you run a cafe or restaurant, add mobile ordering with Mobi2go so the customer can order right from your loyalty program. So that’s a pretty sophisticated retail business you’ve now created! But let’s tally up the cost, which is probably a couple of grand for the hardware and $250 - $350 a month in subscription fees. That model allows smart retailers and hospitality operators to set up a business overnight, that in terms of customer experience and analytics, is the equal of the big chains. That all sounds a bit complex to set up! Here's where the cloud integrators, like SMB Consultants, come in. They specialise in supporting small retailers to get this all together and get the best out of these smart solutions. Plus, they don’t charge IBM’esk rates.